San Antonio Residential & Commercial Demolition Services - RK Construction Co.
We also do commercial as well as residential salvage operations. 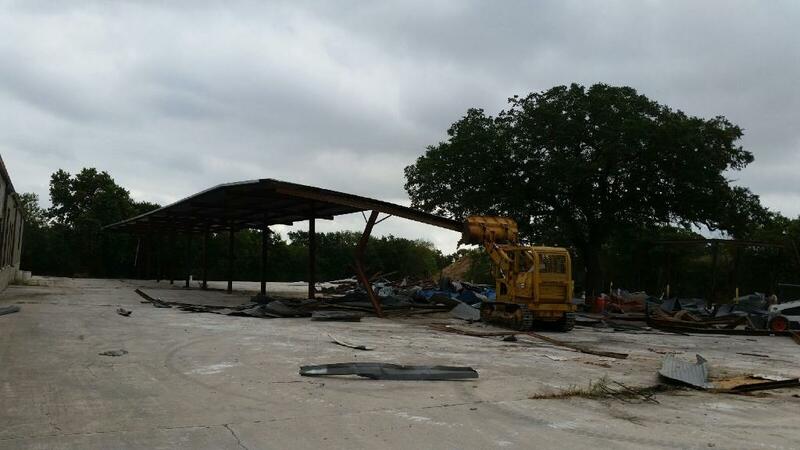 Industrial building scrap and salvage offered in and outside of Texas if needed. We are now expanding our operations to Louisiana and Oklahoma. Recycled scrap helps keep air and water cleaner by removing potentially hazardous materials and keeping them out of landfills. Scrap recycling also helps reduce greenhouse gas emissions and conserves energy and natural resources. You may contact our office to speak to someone about our salvage operations outside the San Antonio, Texas region. RK Construction Company has been recycling and providing re-purposed building materials over the years and we pass this commitment to the environment on to you as savings, be it reusing doors and lights for your new project or processed clean fill to build your new site pad. We are committed to serving the cause of a Greener tomorrow. We will finish on time and on budget. Contact us with the specifics of what you require and we are available for onsite estimates if necessary.